No doubt thousands of Victorian women faced the same circumstances, but Isabella chose to record her innermost thoughts-and especially her infatuation with a married Dr. Edward Lane-in her diary. Over five years the entries mounted-passionate, sensual, suggestive. 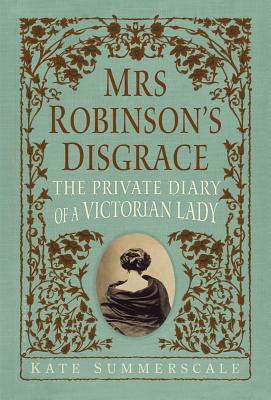 One fateful day in 1858 Henry chanced on the diary and, broaching its privacy, read Isabella's intimate entries. Aghast at his wife's perceived infidelity, Henry petitioned for divorce on the grounds of adultery. Until that year, divorce had been illegal in England, the marital bond being a cornerstone of English life. Their trial would be a cause celebre, threatening the foundations of Victorian society with the specter of "a new and disturbing figure: a middle class wife who was restless, unhappy, avid for arousal." Her diary, read in court, was as explosive as Flaubert's Madame Bovary, just published in France but considered too scandalous to be translated into English until the 1880s. Kate Summerscale is the author of the bestselling books The Queen of Whale Cay and The Suspicions of Mr. Whicher. She lives in London with her son. “This is the golden age of narrative nonfiction, and Summerscale does it better than just about anyone.” —Laura Miller of Salon.com on NPR's "Weekend Edition Sunday"